Comments With the release 1) of the Japanse translation of La Douce, ShoPro issued an ex-libris. It shows a streamlined C55 Japanse steam engine 2). There is also a limited edition (300 ex.) 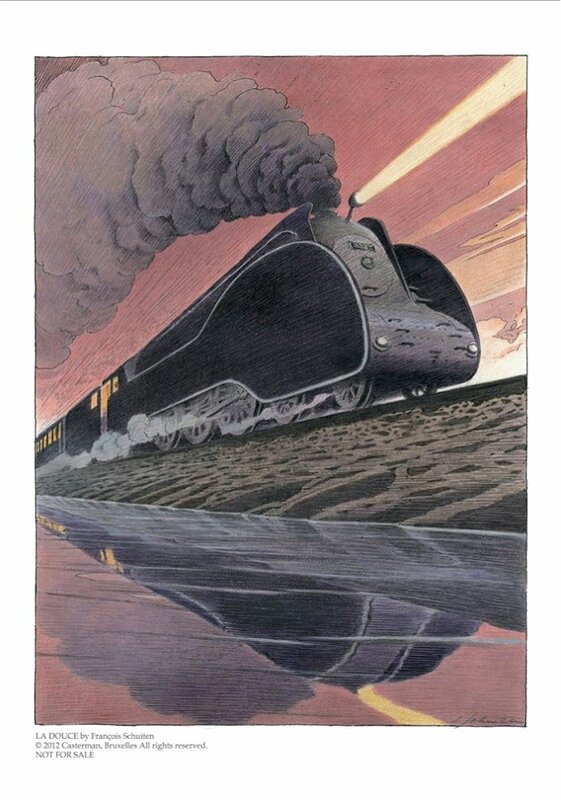 version, signed and numbered by François Schuiten.